We’re always looking for talented and dedicated individuals to join our growing team. Check the positions we’re hiring for below. Experience a new take on luxury at European Body Concepts, the premier salon and spa in the Lehigh Valley. With the masterful skin and body care knowledge of native Greek Irene Koufalis and her team of trained professionals, find a piece of Europe in your own backyard. European Body Concepts offers an extensive list of therapies and treatments tailored to your personal needs. At European Body Concepts, the art of healing is our specialty. Irene Koufalis, a native of Greece, has 30+ years of skincare expertise. She studied at Barbizon School of Modeling & Make-up Artistry in Philadelphia (1982-83), the Massage & Shiatsu Center in Northampton, PA (1984), and the Allentown School of Cosmetology (1985). She holds a Pennsylvania license in cosmetology, nails and aesthetics. In 1999, she was asked to be a honorable team member of the NACC (National Accrediting Commission of Cosmetology), traveling to inspect professional cosmetology schools across the nation. She also holds the International CIDESCO Diploma (Comite International De Esthetique Cosmetology) and is internationally qualified to work in more than 30 countries. She has been participating in the cosmetic industry at a national level for many years and holds a variety of additional distinctions. Irene’s expertise has been showcased in major publications such as VOGUE and Elle Magazine and has even been featured on Oprah. She also writes cookbooks that are reflective of her Greek heritage and passion for beauty and skincare. EBC is an official trainee center for NCEEA. Hair, nail tech, and makeup artist. She has been in the industry for 11 years and with us 2 years. Masters in hair color and color corrections. She loves making you look and feel your best. 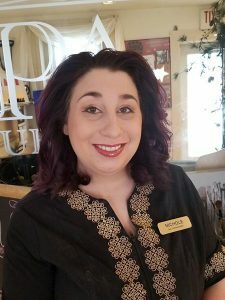 She puts a lot of effort into her work and listens to what you want to help achieve your beauty goal. A caring massage therapist with a passion of the outcome of your massage. A native of Wisconsin living in Macungie with his lovely wife. 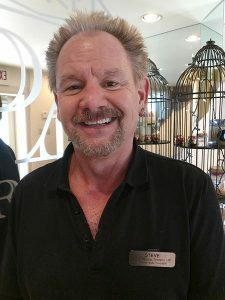 He has been a licensed massage therapist for the last 16 years. He is very professional and knows a variety of massage modalities including medical massage. After graduating in 2006 he became a full time massage therapist ever since. Very eager to work and make the massage outcome beneficial. Our clients are really loving his massage technique.